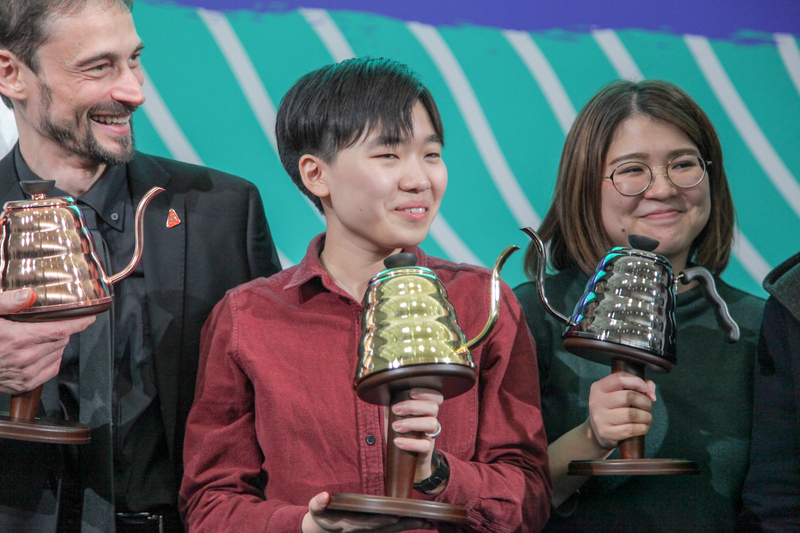 Dan Fellows is the 2018 World Coffee In Good Spirits Champion! Photo: Georgía Thomé for World Coffee Events. 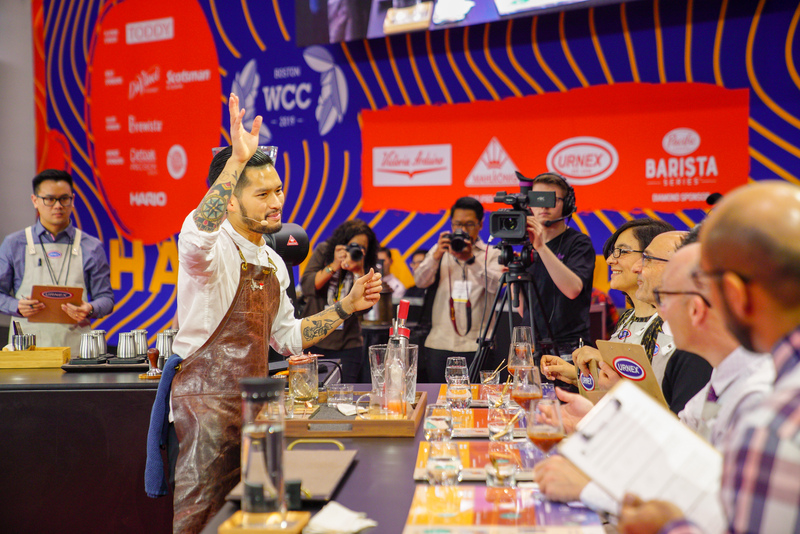 The 2018 World Coffee In Good Spirits Championship has just wrapped up the final round here at the 2018 Brazil International Coffee Week, with routines from competitors representing Greece, South Korea, Italy, Ukraine, the United Kingdom, and Australia. 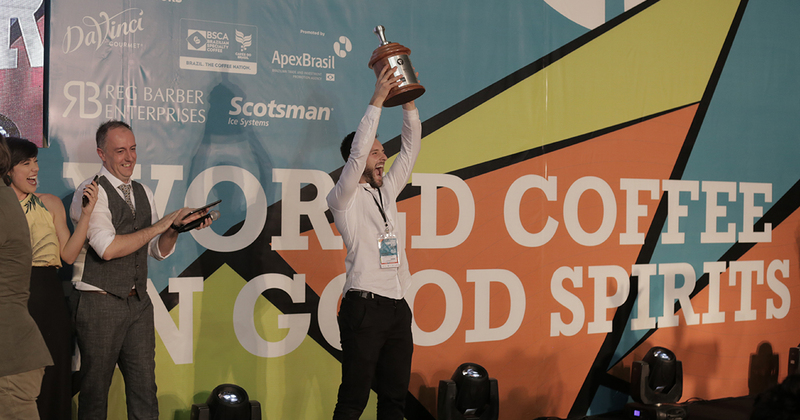 Dan Fellows representing the United Kingdom emerged victorious to be crowned the 2018 World Coffee In Good Spirits Champion. Well done to all the competitors on their creativity and dedication! Full scores and rankings from all rounds will be posted soon. 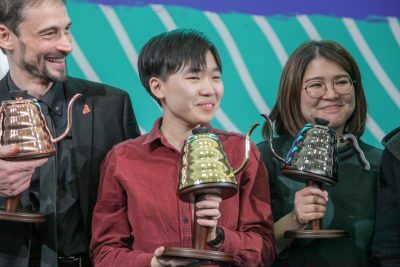 You can check out performances from each round here. 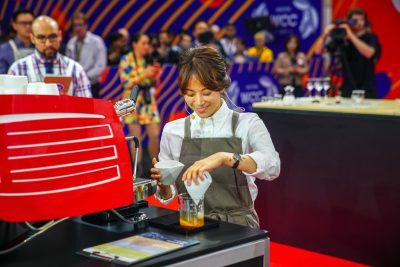 The World Latte Art Championship is supported by Qualified Sponsors, Sanremo, Anfim, Urnex, Pentair/Everpure.